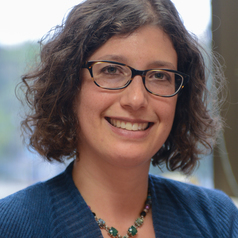 Mara Leichtman is associate professor of Anthropology at Michigan State University and a founding faculty member of the Muslim Studies Program. She is author of Shi‘i Cosmopolitanisms in Africa: Lebanese Migration and Religious Conversion in Senegal (Indiana University Press, 2015). Dr. Leichtman edited (with Dorothea Schulz) a special issue of City and Society on Muslim Cosmopolitanism: Movement, Identity, and Contemporary Reconfigurations (2012) and (with Mamadou Diouf) the book New Perspectives on Islam in Senegal: Conversion, Migration, Wealth, Power, and Femininity (Palgrave Macmillan, 2009). Dr. Leichtman was a visiting fellow at the Ali Vural Ak Center for Global Islamic Studies at George Mason University, Zentrum Moderner Orient in Berlin, Germany, and the International Institute for the Study of Islam in the Modern World in Leiden, the Netherlands. She is a member of the International Editorial Advisory Committee for the journal Islamic Africa. She is currently working on a new project entitled “Humanitarian Islam: Transnational Religion and Kuwaiti Development Projects in Africa” and was a 2016-2017 Fulbright Scholar at American University of Kuwait.